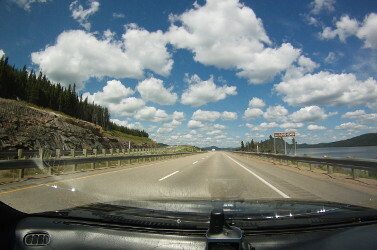 An 1850km circular tour of the Province of Québec on 100-series highways. 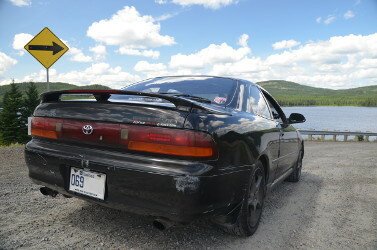 The Lap was devised to celebrate ten years of ownership of a 1992 Toyota Levin GT-Apex, imported from Japan to Canada in 2008. 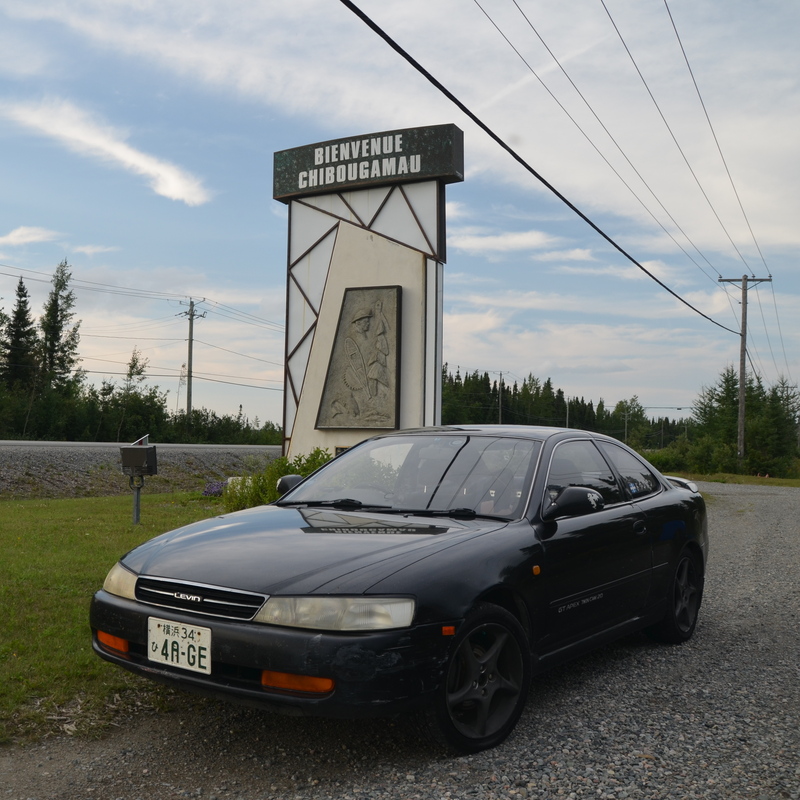 The 26-year old sport compact completed the Lap in 36 hours including an overnight camp in Chibougamau. 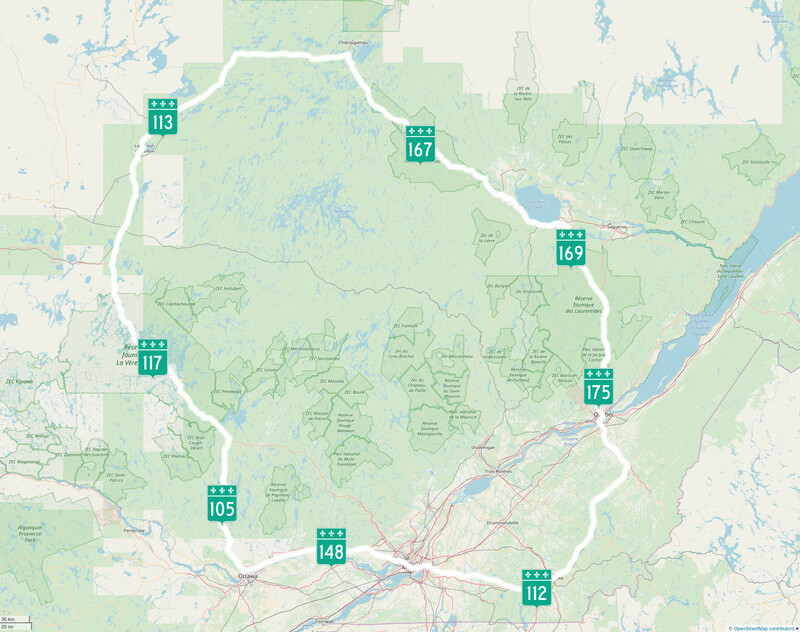 The Lap encompasses the broadest circular route on 100-series highways within the Province of Québec (without ferry crossings), passing through Montréal, Sherbrooke, Québec, Lac St-Jean, Chibougamau and Gatineau. 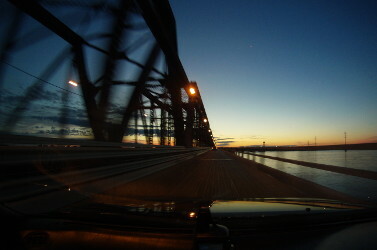 The route crosses two world-record-holding bridges, skirts the battleground where French North America was lost, and traverses national parks and wildlife reserves with plenty of remote boreal forest in between. Photos and videos captured during the Lap. 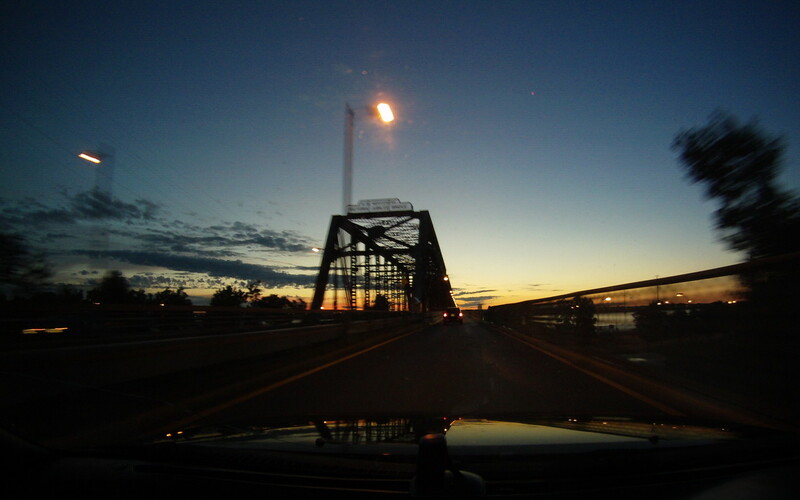 Crossing the Victoria Bridge, the world's longest upon its completion in 1859. 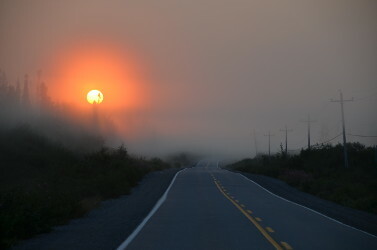 The sun rises behind Mont St-Hilaire, burning off the fog blanketing the farms. A mural in Sherbrooke. The highway passes through the city centre. 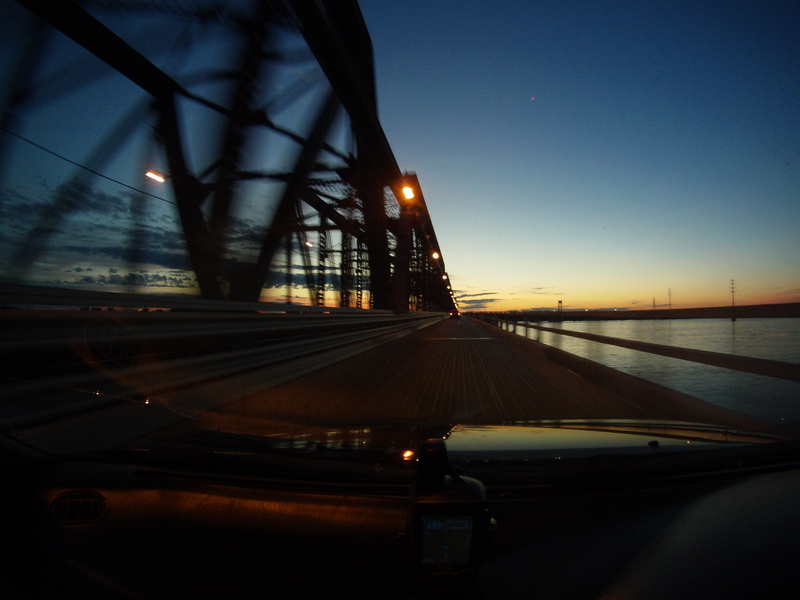 Crossing the Québec Bridge, the world's longest cantilever span since its completion in 1919, and a National Historic Site of Canada. 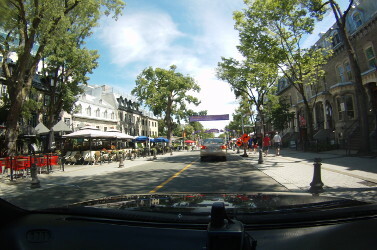 The route passes through the heart of Québec City, passing the Plains of Abraham and parliament. 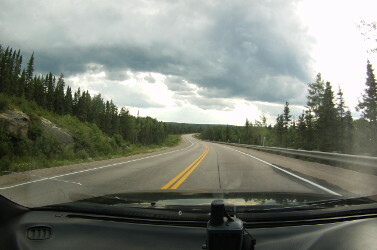 The highway skirts Parc National de la Jacques-Cartier. One of the few sections on the Lap with mountains worth naming, here Mont Louis-Hémon. 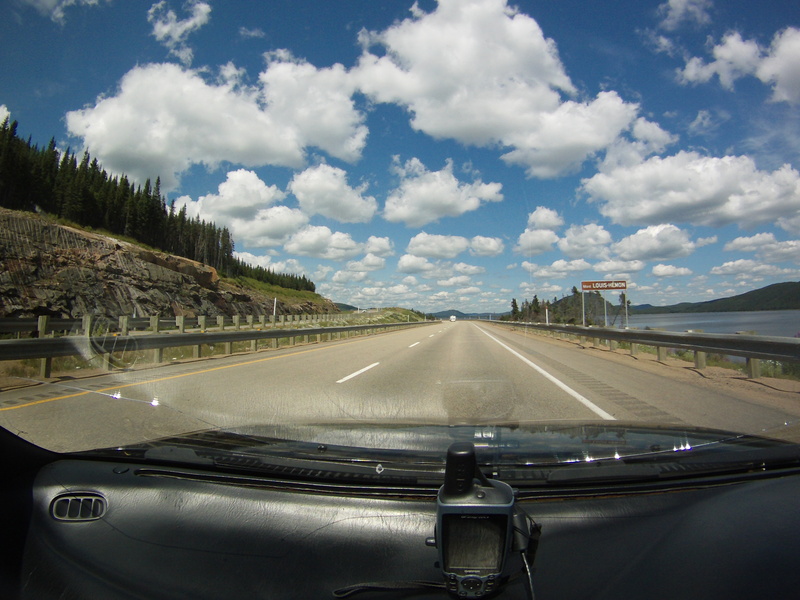 Scenic overlook at one of the highest elevations on the lap. Leaving Route 175 to join Route 169 at its southern terminus. 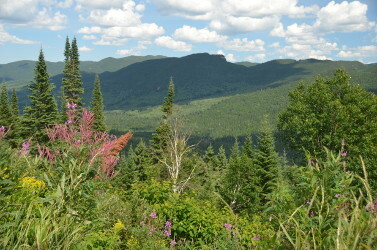 Wildflowers lined most of the remote northern sections of the lap in August. 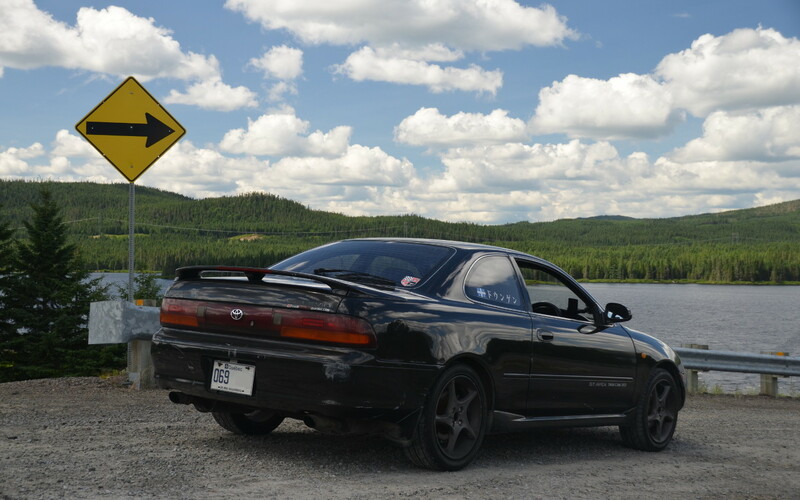 Scenic overlook of Lac St-Jean before the highway descends to skirt the lake. 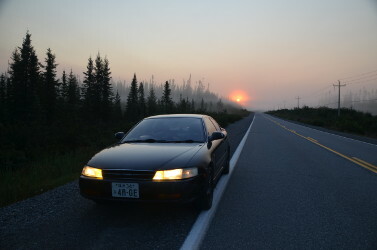 The Lac St-Jean region offers many tourist options before the long remote stretch of the lap begins. 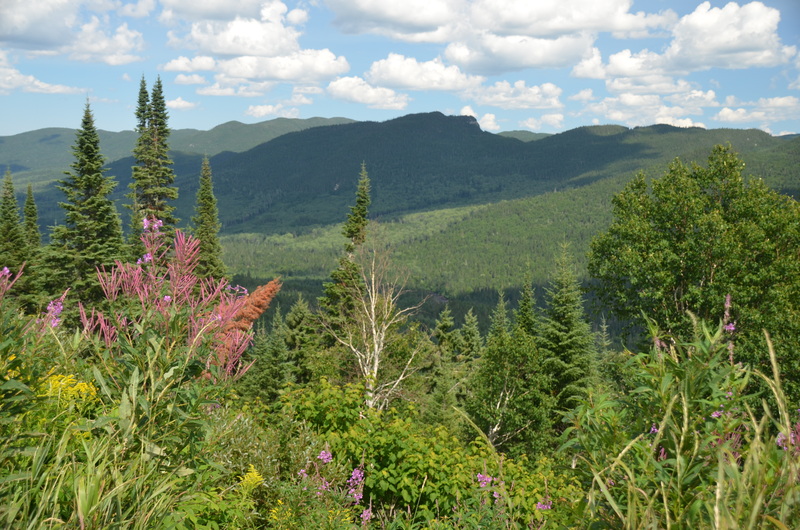 Wilderness on the long stretch between La Doré and Chibougamau. 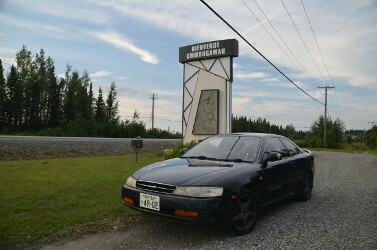 Chibougamau is the northern terminus of the lap. 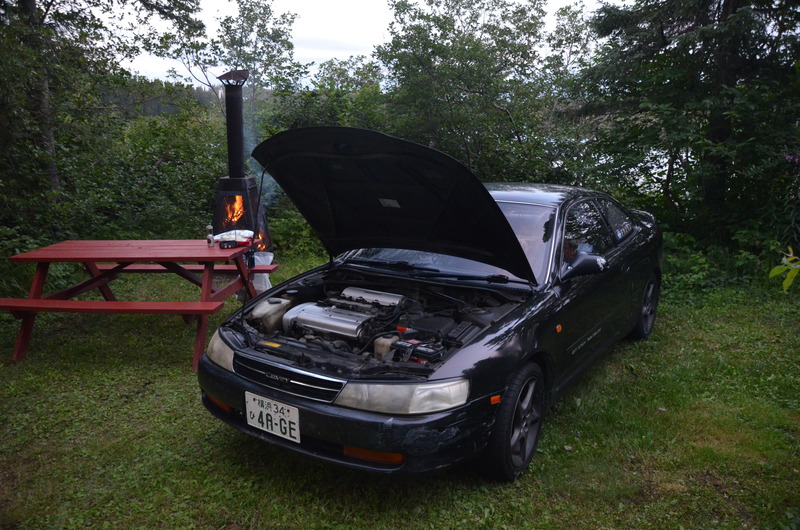 Cooling down the engine before settling in for the night at Éco-Camping Chibougamau. 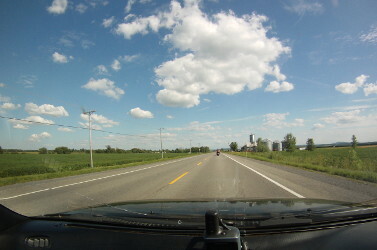 The northern terminus of Route 113 with 330km until Senneterre, the next major town. A beautiful start to the longest and most remote section of the Lap. 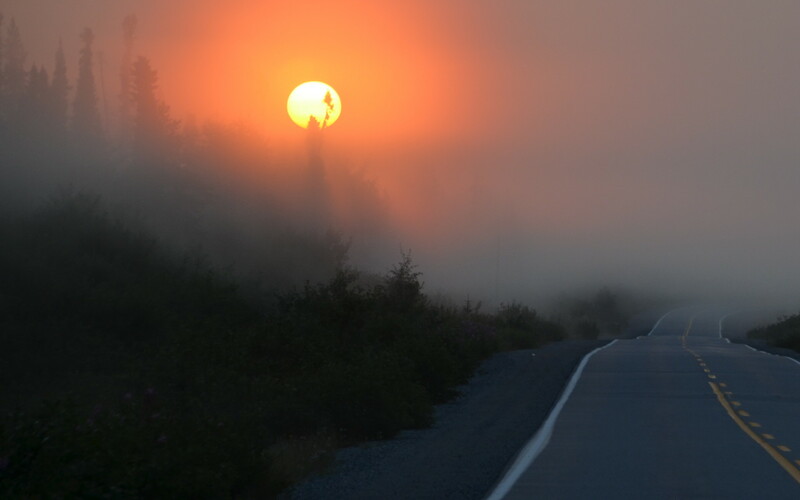 Sunrise slowly burns off the fog on the loneliest section of the lap. The bridge across the Waswanipi river is one of the few memorable landmarks on the remote section of Route 113. Route 117 marks the southern terminus of Route 113. The last of the countryside before entering the urban buildup of the greater Montréal area. 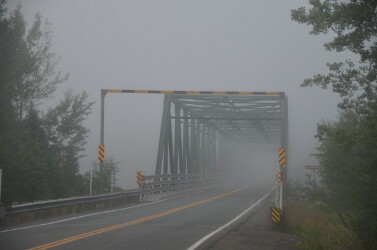 The Lachapelle bridge marks the crossing back onto the island of Montréal. 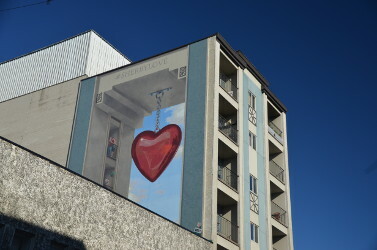 Passing the Museum of Fine Arts in Montréal's Golden Square Mile. 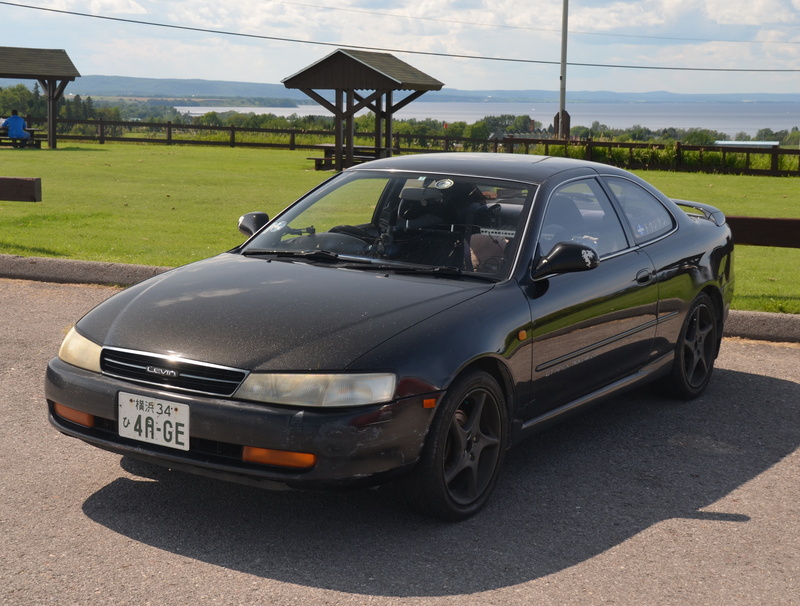 Until 2009, it was possible to import 15+ year old right-hand drive cars into Québec. 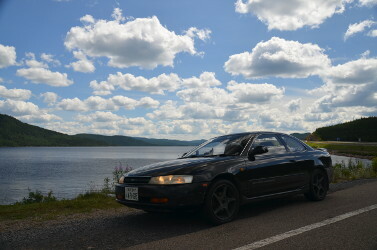 The Levin arrived in 2008, likely as a crate-filler among more desirable early-90s Skylines and Imprezas. 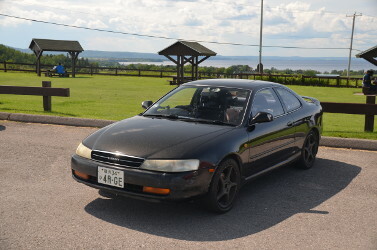 August 2018 marks a decade of ownership of a car that was never expected to survive so long, and for which sourcing parts is often all but impossible. The Lap was a celebration and testament to the reliability of the Toyota, which still provided a highly enjoyable and comfortable drive! There's much to see along the route if one takes the time! 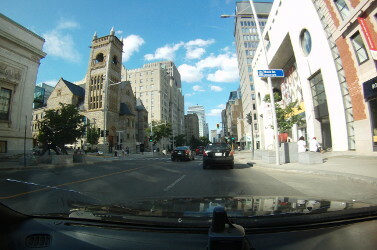 Begin at the intersection of Peel and Sherbrooke Streets in Montréal. 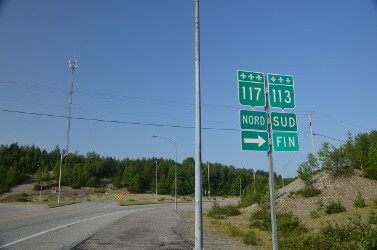 Leave Route 112 for Route 173 North at Vallée-Jonction. 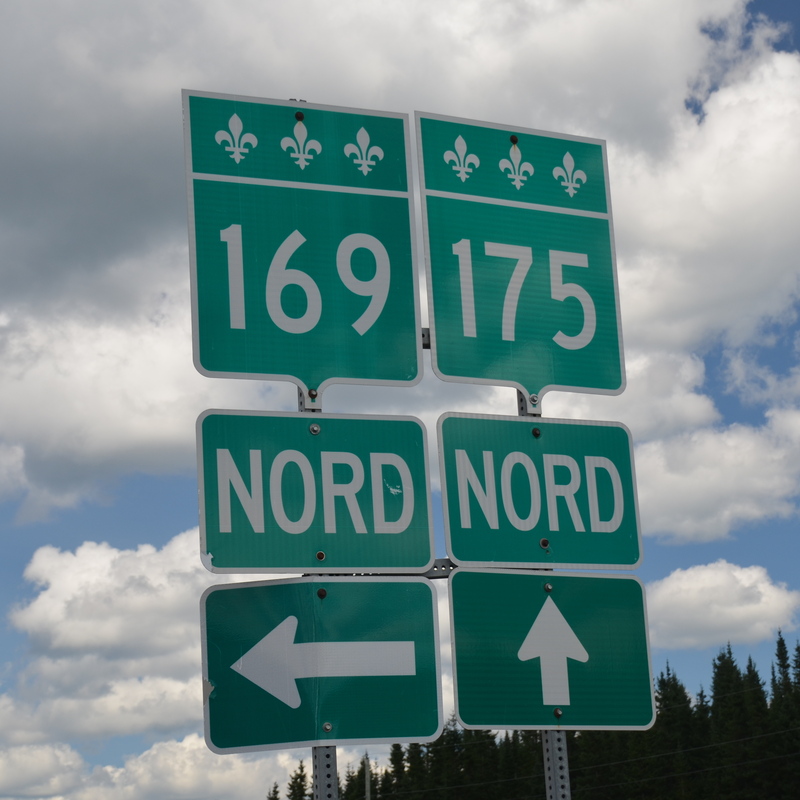 Begin following Route 173 North out of Vallée-Jonction until the original Route 175 can be followed as Route Carrier in Scott. Route 175 will become Autoroute 73 leaving Québec, and can be rejoined as Boulevard Talbot near Charlesbourg. 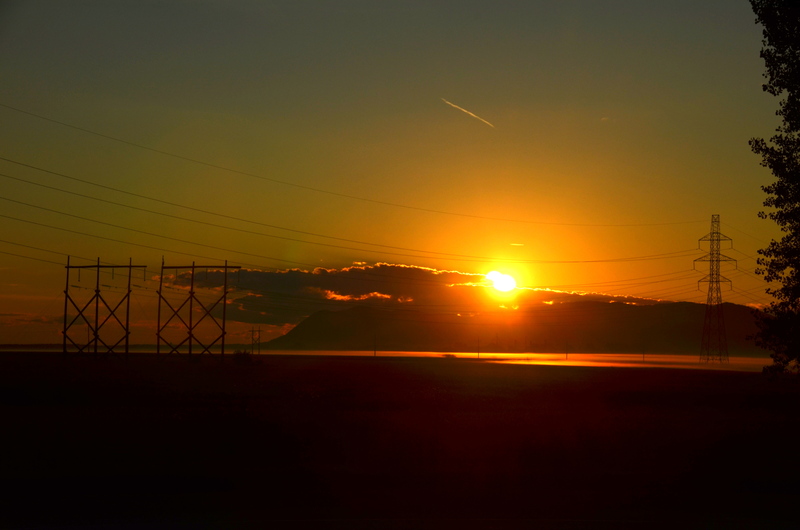 Leave Route 175 for Route 169 North before Lac Talbot. 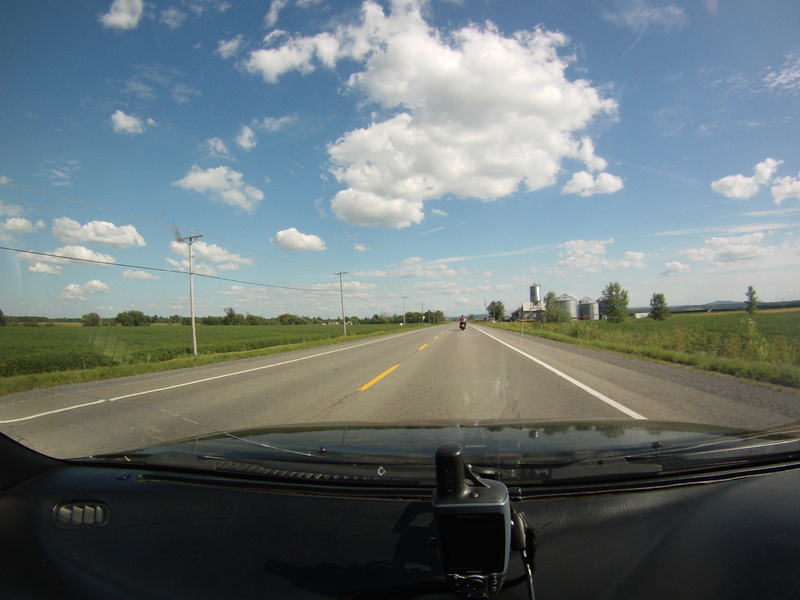 Begin following Route 169 North at its southern terminus. Follow the left branch of Route 169 North just outside Hébertville! 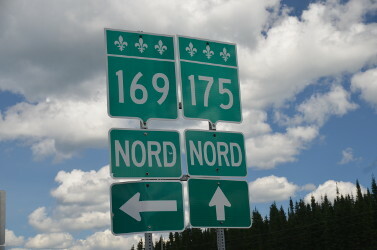 Leave Route 169 for Route 167 North in St-Félicien. 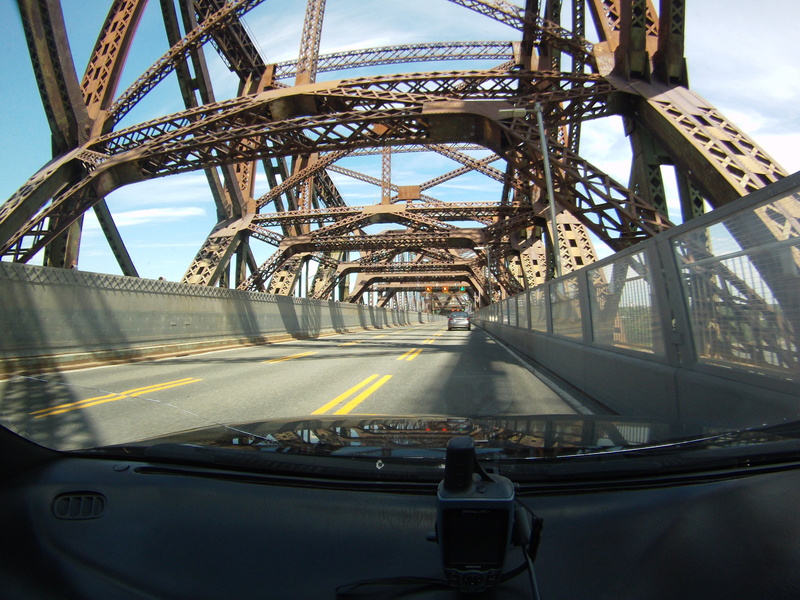 Begin following Route 167 North at its southern terminus. 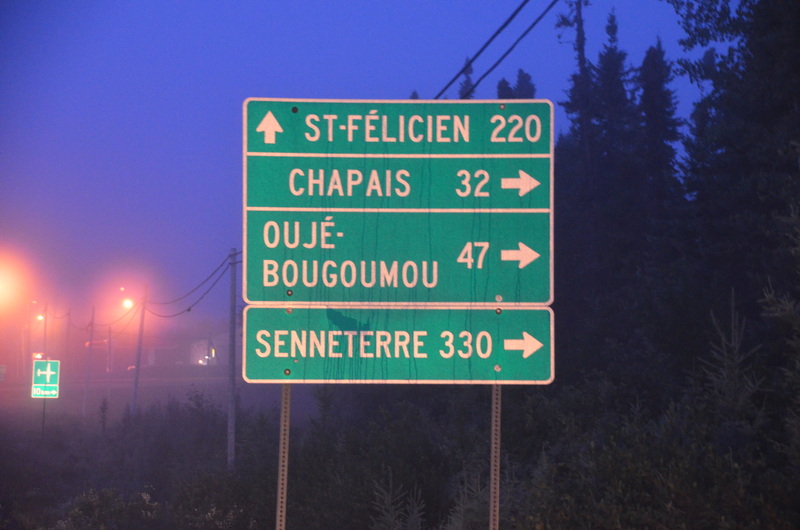 Leave Route 167 for Route 113 South shortly before Chibougamau. 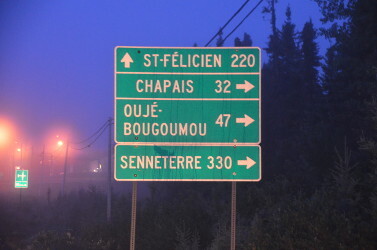 A few kilometers north of the junction of Routes 113 and 167 lies the town of Chibougamau at the northernmost point on the Lap which is also the approximate halfway point from Montréal. There are a variety of restaurants, grocery stores, hotels and campsites. 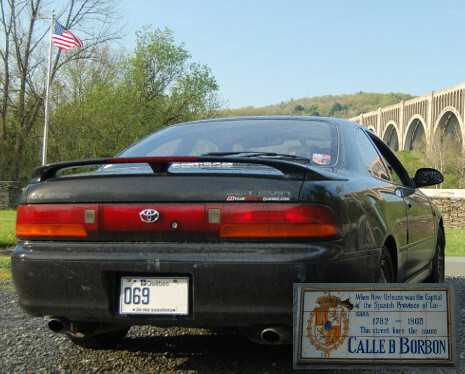 Begin following Route 113 South at its northern terminus. Leave Route 113 at its southern terminus for Route 117 South. Begin following Route 117 South at the junction with Route 113. 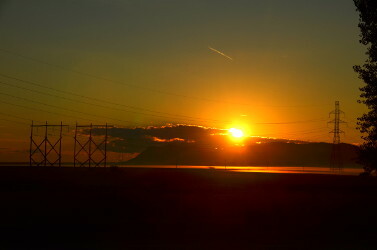 Leave Route 117 for Route 105 South in Grand Remous. 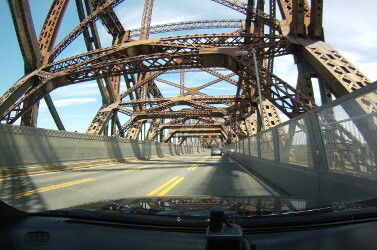 Begin following Route 105 South at its northern terminus. Leave Route 105 at its southern terminus on Route 148 East. Begin following Route 148 East at the junction with Route 105. 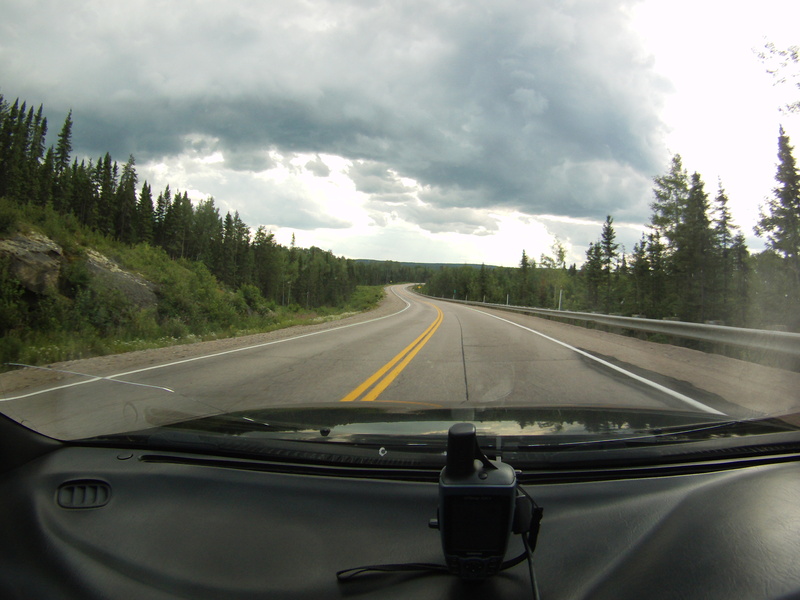 Route 148 will immediately twin with Autoroute 5. 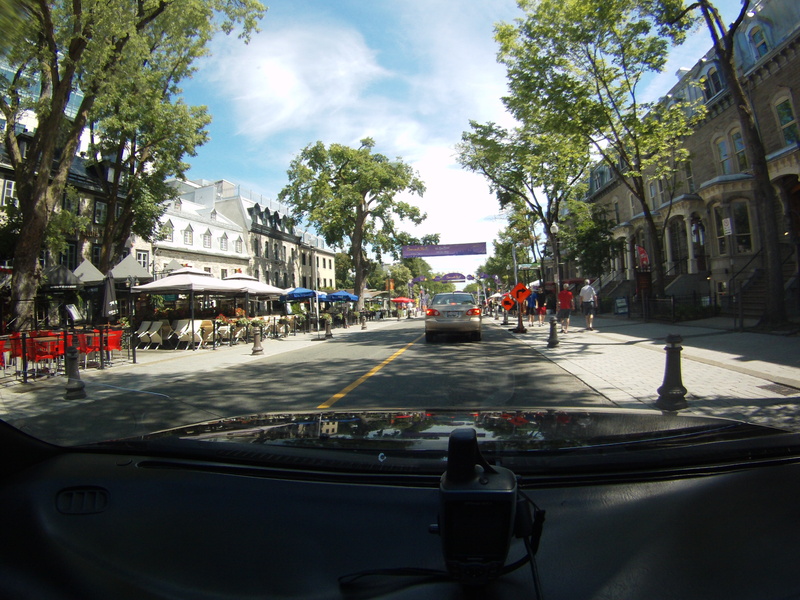 To see the Gatineau sights, continue on its historic route of Boulevard des Allumettes, Boulevard Fournier and Rue Saint-Louis. 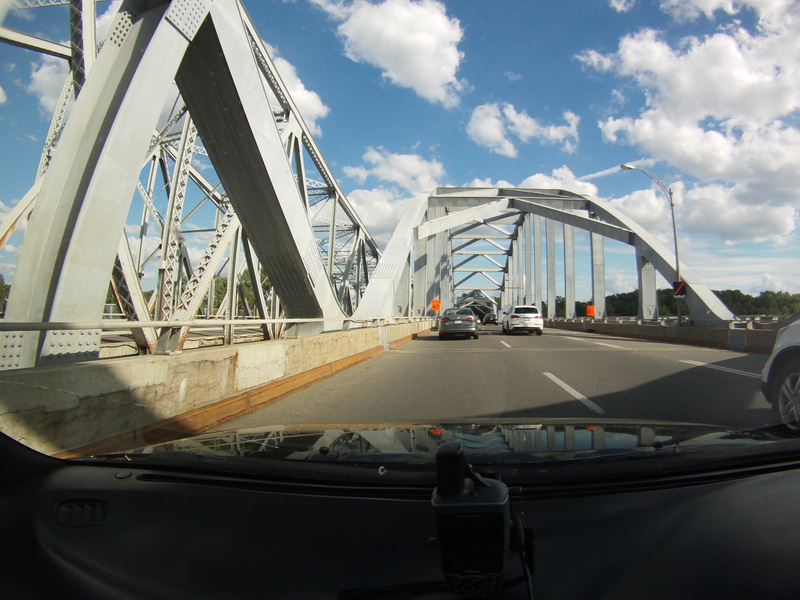 Leave Route 148, which will have briefly become Autoroute 440, for Route 117 South in Laval. 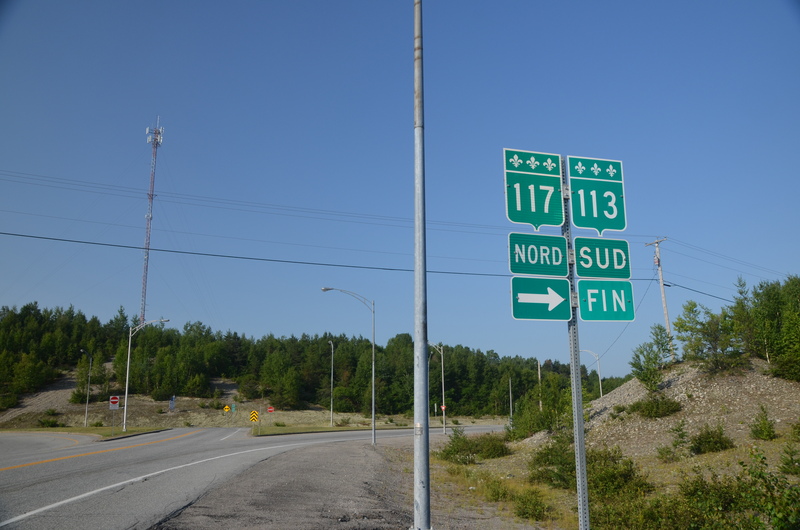 Begin following Route 117 South from Autoroute 440 exit. Route 117 will become Autoroute 15 which should be followed until the Rue Sherbrooke (Route 138) exit and taken in the eastbound direction. 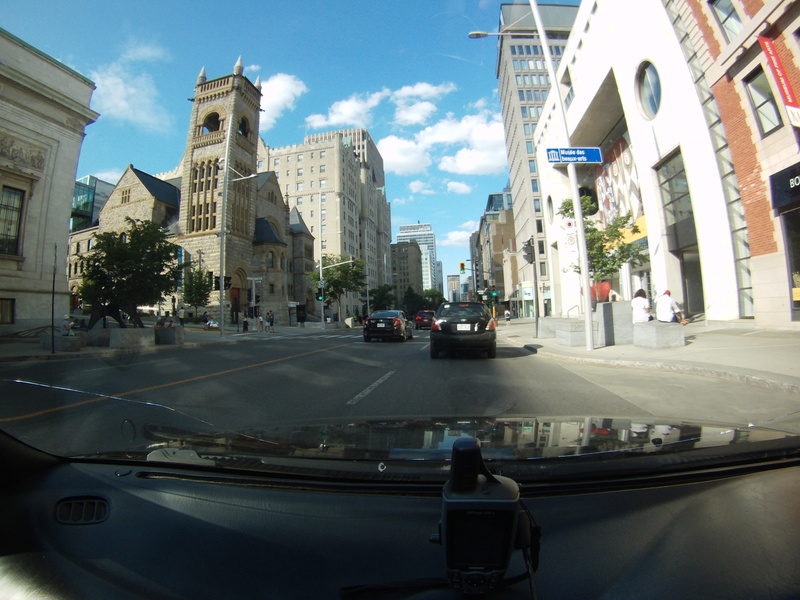 At the intersection of Sherbrooke Street with Peel Street, the Lap is complete! 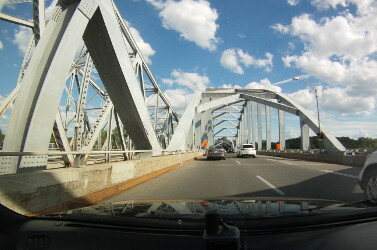 Route 117 traverses Laval, the third largest municipality in Québec, crossing the Lachapelle Bridge to Montréal of which it is a suburb. 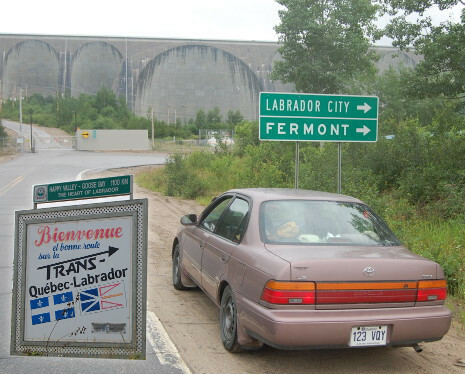 Note that Route 138, which traverses 1420kms, has its western terminus featured in New Orleans, No Interstates and its eastern terminus featured in the Trans-Labrador road trip, both of which are linked below. 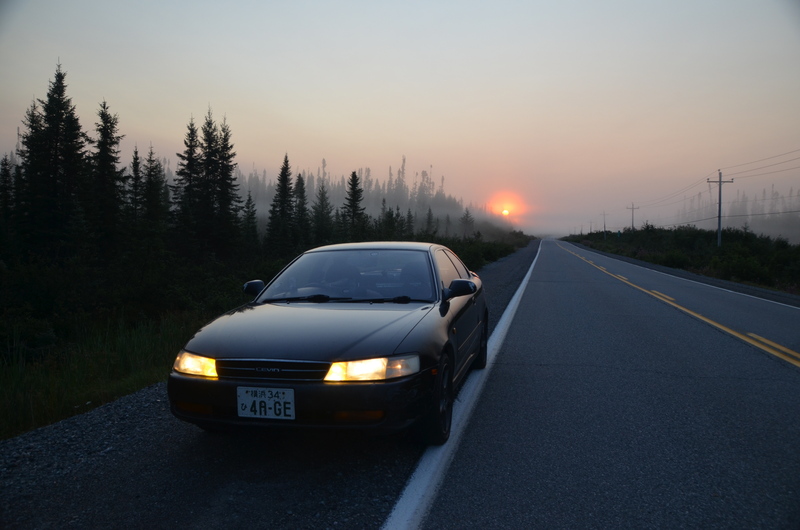 A two week, 7608km adventure driving from Montréal to New Orléans on scenic byways. 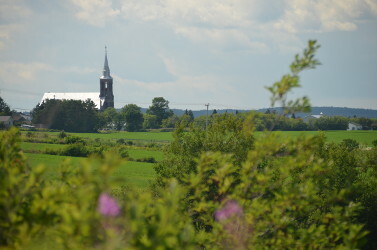 Baie-Comeau to Blanc Sablon. Simply because you can. © Jeffrey Dungen 2018. Design: HTML5 UP.